What a gorgeous photo. You look so similar. How lovely you still visit your breeder. 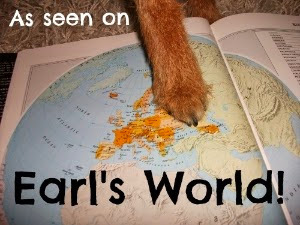 I luff going there - she has loads of spangles :-) She is quite far away, but we have visited a couple of times for a groomy lesson. She's great! Even better than the real thing Lottie. Have a marvellous Monday. 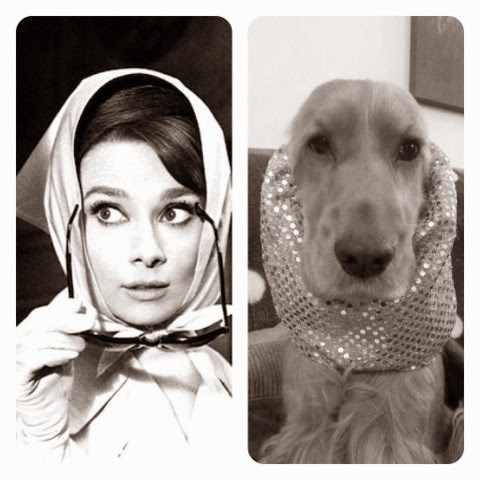 You are a beautiful girl, Lottie - much prettier than Audrey Hepburn!